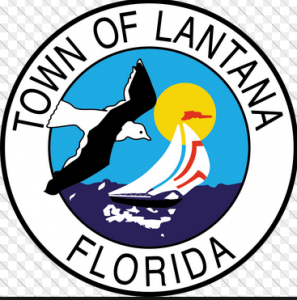 Two Injured In Lantana Crash near Seacrest Boulevard and Hypoluxo Road | Schuler, Halvorson, Weisser, Zoeller & Overbeck P.A. Two people were taken to area hospitals after being injured in a two-car crash in Lantana, according to Palm Beach County Fire Rescue. An injured girl, 6, was flown by Trauma Hawk to Delray Medical Center, said Capt. Albert Borroto, spokesman for Fire Rescue. The girl’s mother was taken to Bethesda Medical Center in Boynton Beach with life-threatening injuries. Both vehicles sustained moderate damage, Borroto said. It was not known whether the drivers were wearing a seat belt or if alcohol was a factor in the crash, according to a report from the Palm Beach County Fire Rescue. The crash happened at North Seacrest Boulevard and Hypoluxo Road when an elderly driver traveling in a Hyundai Sonata came out of her lane and sideswiped a 2002 Hyundai Electra. A woman, 53, of Pompano Beach and her daughter were on board the Hyundai Elantra at the time of the crash. They crashed into the road median as a result of the impact of the collision. First emergency responders arrived at the site of the crash soon after the crash happened and the young woman was transported to the hospital. What triggered the sideswiping remains under investigation, a Palm Beach County Fire Rescue report said. One lane is closed due to the crash, causing traffic delays. It is best to completely avoid this route and make use of alternative routes.